Your chimney cap is far from sight, but clearly exposed to potential problems. Our chimney caps consist entirely of stainless steel: the top, screen, base, screws, welds, etc., are high-grade stainless steel. 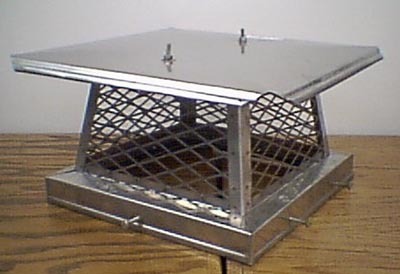 A chimney cap and properly constructed chimney crown prevent damaging water penetration and deny access to birds, other animals, and debris. Our standard caps run $129.95 (installed) but we can also create custom caps and chase covers for you at competitive rates. 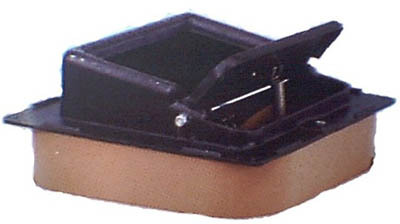 Our Lyemance top-sealing dampers are energy-savers! They seal tight with silicone-rubber gaskets, save energy in summer and winter, stop downdraft, seal out moisture to extend chimney life, prevent animals from entering your chimney flue, and help prevent chimney odors! They are easy to operate and come with a lifetime warranty. Top-mounting dampers sell for $395, including installation. Fill out our estimate form to receive more information on chimney caps or top-mounting dampers or contact us for more information.